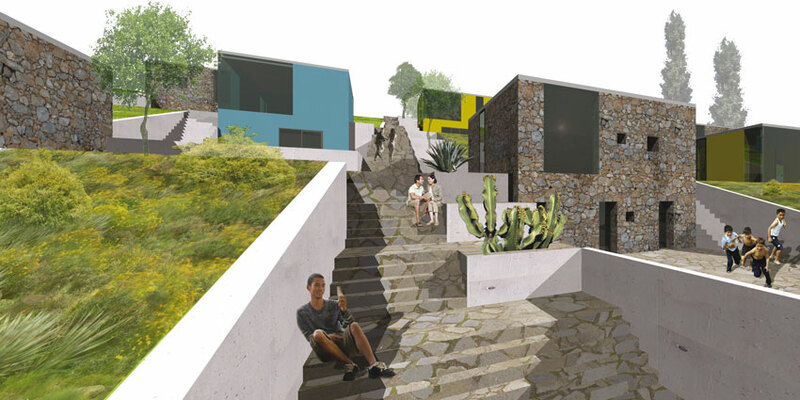 The new proposal is adjusted to the natural topography allowing accessibility to all plots. A network of vertical axes (pedestrian zones) directed to the sea, is added to the horizontal road system, completing the urban infrastructure. The housing plots are being adjusted to the proposed road system while respecting the existing building regulations. Public functions are placed near the shore creating a leisure zone. The remaining study area is developed as a housing zone. The organisation of the housing area is orientated on the beehive yards which are widely spread in the Greek rocky landscape. Orientation, access, public and private outdoor spaces, paved & green areas and the view to the sea are being imbedded in an organisational system which generates the settlement: each plot is divided into four. 1/4 is being build, 1/4 is transformed into a garden and the remaining 2/4 ´s are being paved and given to private outdoor activities. The placement of the houses is allowing absolute view to the sea. 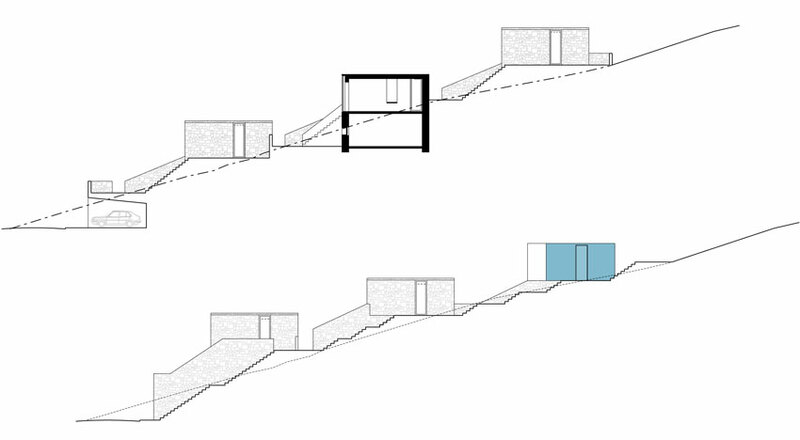 The public functions are concentrated on the generous vertical staircases leading to the water. Shading, seating and leisure niches are provided there. The proposed materials are widely spread in the Greek geographical area: concrete and stone. 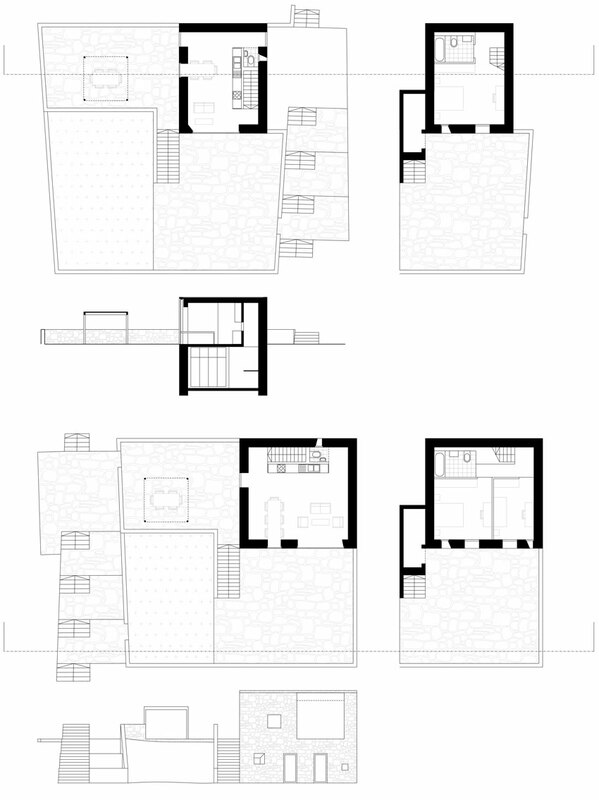 Most of the houses are conceived as a stone made carrying masonry system, the rest as conventional armed concrete structure with brick cladding, coloured in the colours of the beehives: bleu, yellow and white offer orientation points in the stone made environment.